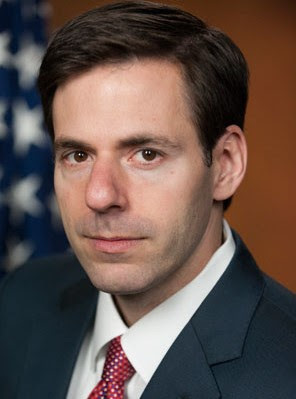 The U.S. Justice Department released Assistant Attorney General John P. Carlin's (seen in the above DOJ photo) remarks at a press conference announcing seven Iranians charged with conducing cyber attacks. Good morning. And thank you, Preet – this case would not have been possible without the hard work of the men and women of your office and our partners at the FBI. I also want to thank the men and women of the National Security Division for their work on this case and for their efforts to protect our country from all manner of national security threats. In addition, we thank all of the victims for their critical assistance during the investigation. This case demonstrates the power of public-private partnerships in holding accountable cyber actors who threaten our national security. For many years, nation states and their affiliates enjoyed what they perceived to be a cloak of anonymity. A cloak they hid behind to break our laws through cyber intrusions and to threaten our security and economic well-being. They had this perceived cloak because they thought we couldn’t figure out who did it and, if we did figure it out, we would keep it a secret. That’s why, two years ago – from this very podium – we could announce an indictment against five members of the People's Liberation Army. Today, let this indictment reinforce that the days of perceived anonymity are gone – we can remove the cloak. Today’s announcement proves, once again, there is no free pass for nation state affiliated computer intrusions. This week is significant – a landmark for our national security cyber program. On Tuesday, we unsealed a complaint against members of the Syrian Electronic Army. Yesterday, a Chinese businessman in Los Angeles pled guilty for conspiring to hack into U.S. defense contractors and to steal sensitive information related to fighter jets. And now, today, we can tell the world that hackers affiliated with the Iranian government attacked U.S. systems, and we seek to bring them to justice for their crimes. No matter where a hacker is located or who he is affiliated with – China or North Korea, ISIL or SEA – we can figure who did it, by name and face, we can do so publicly and we can impose consequences. This is still the beginning. We will continue to pursue hackers affiliated with nation states or terrorist organizations. And when we find you, we will use every available tool at our disposal to hold you accountable. That means more public actions, more charges, more arrests and more sanctions, until the conduct changes.